Restorative dentistry techniques have evolved over the years, with air abrasion being one of those micro-dentistry procedures that have been truly enhanced, from the traditional dental drills to using a new drill-less concept. 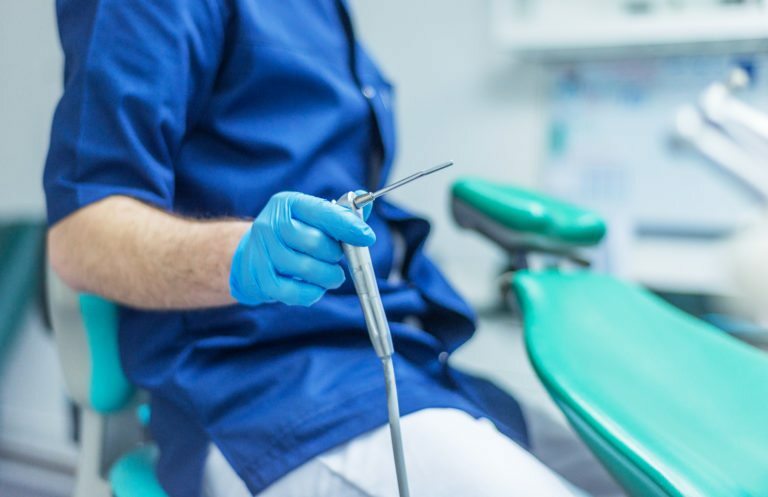 Air abrasion is a dental procedure that dentists use to remove minimal tooth decay, as well as preparing your teeth for restorative treatments. This procedure dates all the way to the 1940’s, and has been improved over time, giving a new dimension to conservative dentistry. Our Tottenham dentists compare this treatment to sandblasting, since it basically involves propelling small particles towards the affected tooth then getting rid of all the decayed matter. Being a restorative procedure, a filling has to be applied to seal the tooth from further damage, while still making it appear as natural as possible. It has gained so much popularity over the years, owing to the fact that it’s a minimally invasive procedure, and a much better alternative to the traditional noisy drilling technique. Moreover, it’s a quick and easy procedure that greatly minimizes the risk of causing more damage to your teeth. With an air abrasion, you can be guaranteed that we will preserve more of your natural tooth, thus not interfering with your natural tooth appearance. Due to its minimally invasive nature, you may not require an anesthetic to be administered before the treatment. The best part? Our Tottenham dentists can treat multiple teeth in just one appointment, which saves you a lot of time. Am I The Right Candidate For An Air Abrasion? We recommend making an appointment with any of our qualified dentists, who will fully ascertain whether you are an ideal candidate for an air abrasion since it’s just not for everyone. Your teeth have to have minimal decay for you to be considered an ideal candidate. For severe decay, your dentist will recommend other procedures. Most people who opt for an air abrasion are afraid of the dental drills, and this being a heatless and noiseless procedure, it’s such a perfect alternative. Air abrasion is safe to use on children, and can also be highly beneficial for other treatments such as during the removal of composite fillings, preparing your teeth for dental sealants or when getting rid of surface stains on your teeth. To begin with, our Tottenham dentists use dams and cotton balls to isolate your decayed teeth and set apart those that are not affected. The next step involves spraying the teeth with aluminum oxide and silica particles, which is done under specialized light and magnification. Using a dental hand piece, we deliver jets of compressed air which is powerful enough to force the particles to remove the decay. Once we have suctioned all the waste from your mouth, we use a special red chemical dye to ensure that there is no trace of decay left in your tooth. The final step includes applying an acid solution to roughen up the affected site which ensures that your teeth are ready for filling. Only composite fillings can be used when it comes to air abrasion treatments. The filling is hardened using specialized lights and polished to make it appear as natural as possible. If you are thinking of going drill-less for your next dental procedure, why not contact us at our clinic located at Tottenham, ON to schedule an appointment?